Editor's Note: This is an excerpt from an op-ed which originally appeared on VICE News. 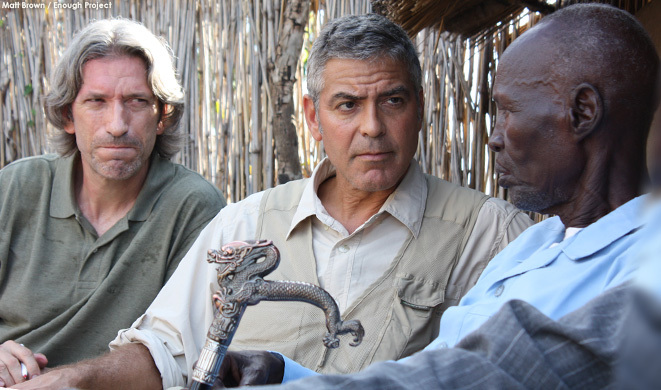 George Clooney, co-founder of Not On Our Watch, and John Prendergast, co-founder of the Enough Project, together founded the Satellite Sentinel Project. Read the full op-ed on VICE News. Ask U.S. leadership to to increase our diplomatic capacity to promote peace in Sudan and South Sudan. Watch the VICE HBO series finale "Surveillance City and the Forgotten War" which highlights the ongoing conflict in Sudan and the effects of flagging international attention to the issue on HBO Friday June 13, 2014 at 11:00 PM EST.